The post Ben in BuzzFeed Video appeared first on Ben Rosenfeld - Comedian. The post 2019 Comedy Goals appeared first on Ben Rosenfeld - Comedian. The post 2018 Comedy Goals Revisited appeared first on Ben Rosenfeld - Comedian. The post Announcing Ben’s New Web Series: Baby Therapist appeared first on Ben Rosenfeld - Comedian. 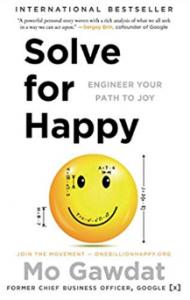 I recently read “Solve For Happy: Engineer Your Path To Joy” by Mo Gawdat. Below are the quotes I found most interesting. If you like them, buy and read the book here. The post “Solve For Happy” Quotes appeared first on Ben Rosenfeld - Comedian. 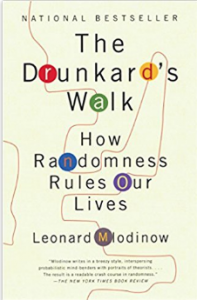 I recently read “The Drunkard’s Walk: How Randomness Rules Our Lives” by Leonard Mlodinow. Below are the quotes I found most interesting. If you like them, buy and read the book. The post “The Drunkard’s Walk” Quotes appeared first on Ben Rosenfeld - Comedian. Hey there College Activities Programming Board Person! Congrats on deciding to have a comedy show at your school! Now relax and know your students will have a great time. Especially if you follow the tips below that were gained from years of performing at lots of different colleges. Book a comedian that’s right for your school! If you’re at a religious seminary in the South, the type of comedian most students will enjoy might differ from what students at a small liberal arts college in the northeast will respond to. All the comedians that I know who perform at colleges are funny professionals who’ll do a good job in almost any environment, but watch a few comedian’s videos and try to guess the best fit. For example, Jerry Seinfeld is great, but he probably won’t be the best fit for Live at The Apollo. If you have any language or content restrictions, make sure to let the comedian know that at least one week before the show so they can plan their material accordingly. Don’t announce restrictions minutes before the show starts, when the comedian has already decided on the material they will be doing at the show! Once you choose a comedian and a date is set a few months into the future (don’t schedule events during midterm or finals week! ), start doing your online marketing, except for email blasts. Add the comedy show to your school’s calendar of events and other such places. – Send your first email blast. Students don’t make plans months into the future, so if you email too soon, you risk getting ignored. – Make sure to create and put up nice looking flyers all over campus. Especially at social places like dining halls, dorm lounges and on bulletin boards outside of large lecture halls. The more students that come to the show, the better the energy, the bigger the laughs, the better time everyone has. While you can still have a great comedy show for ten or twenty students, it’ll be much better for everyone if you can get fifty or five hundred. I recommend having the minimal amount of text possible and making that font size very large. All you really need is the comedian’s photo and name, the location and date, and clarify if there’s an admission fee or if the event is free. Make sure there’s a microphone, a spotlight and maybe even a stage. You have to a microphone that’s connected to working speakers. I highly recommend using a corded microphone. Cordless mics are great ideas, until something goes wrong and ruins the momentum of the show. If you insist on a cordless mic, have a backup wired mic hidden towards the back of the stage so that the comedian can quickly switch over without causing distraction. If you don’t have an actual spotlight, at least make it so only the front of the room is lit. The best comedy is when the audience feels like one cohesive unit and too much lighting and being aware of other audience members will lessen this affect. If you’re in a multipurpose room and can’t procure a real stage, most colleges usually have little risers that are easily transportable. Even a 4’ by 8’ stage that’s a foot off the ground makes a big difference. That said, of the three requirements above, the stage is the least important. Have the seats as close to the stage as possible. A twenty-foot gap from the stage to the first row destroys energy. Plus comedy is enhanced when the audience can see the comedian’s facial expressions. 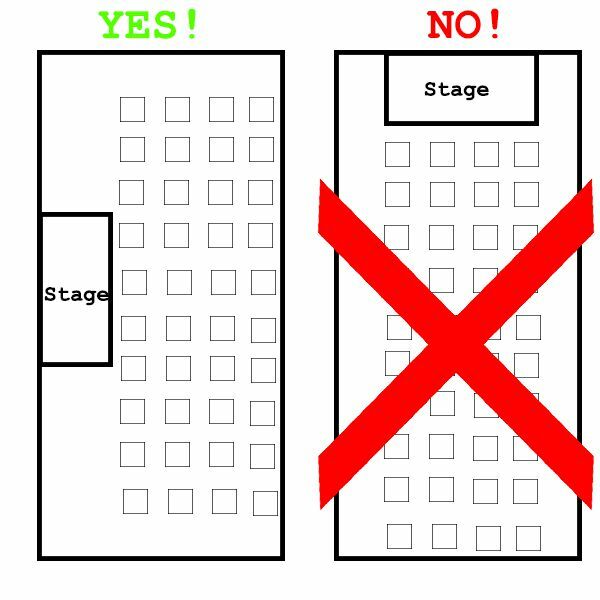 The first row of seats should be no more than two feet from the front of the stage. Assuming you’re not in a preconfigured theater space or lecture hall, minimize aisles. One long, connected row of seats is better than an aisle splitting chairs down the middle. Of course, this depends on the size of the room and specific fire codes (always follow those!) but as a general rule, connect all the seats in one row if possible. Place the stage so the room feels wide, not long and narrow. If you’re in a rectangular room, the stage should go in the middle of the wide wall, not on the narrow wall. Play music as students come in to grab seats. Comedy is about energy, so get the mood positive before the show starts. Have someone from the activities board introduce the comedian with a few words. Comedians will usually tell you exactly what to say. Keep it short and sweet. Make your upcoming programs announcements AFTER the comedian finishes. Reading announcements from a piece of paper before the comedy show starts kills the energy and makes the start of a show harder. Do it at the end when everyone has had a good time and wants to learn more about your hard planned upcoming events. That’s it! Ten years of experience distilled into less than a thousand words! Enjoy the show! 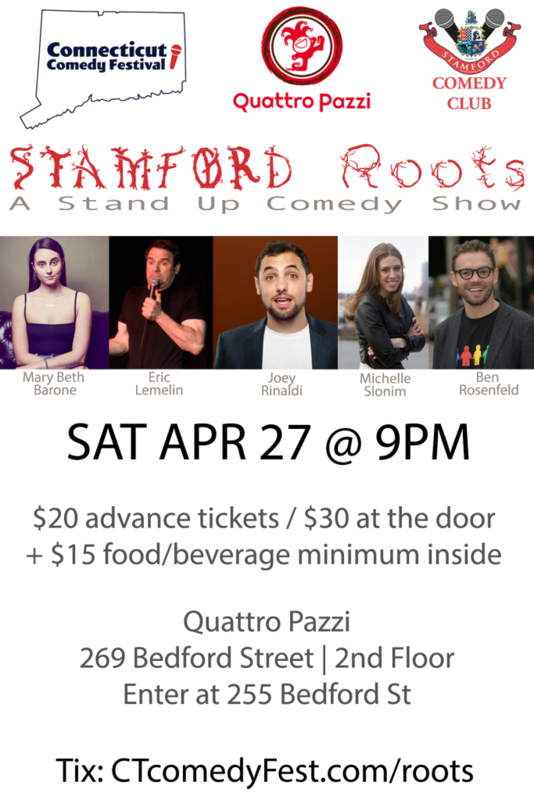 The post How To Put Together A Great College Comedy Show appeared first on Ben Rosenfeld - Comedian. The post Ben’s Sketch Goes Viral appeared first on Ben Rosenfeld - Comedian. The post Ben’s Newest Sketch Video: The Slice appeared first on Ben Rosenfeld - Comedian.